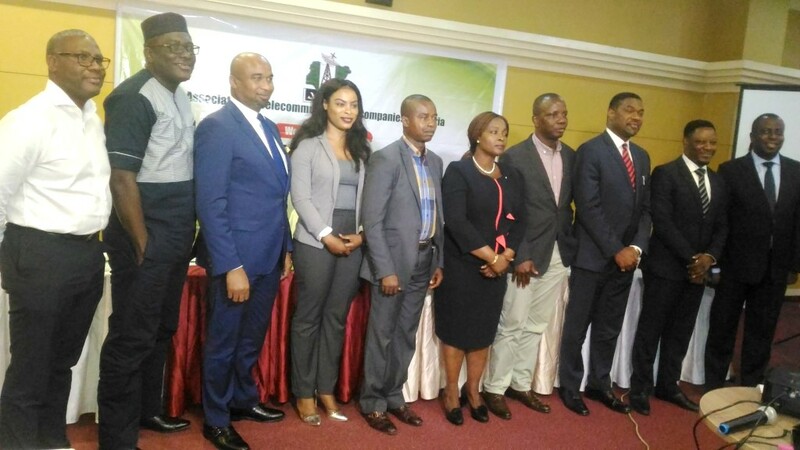 President of the Association of Telecoms Companies of Nigeria (ATCON), Engineer Olusola Teniola, was on Thursday, returned unopposed for second term in office at the 2018 Annual General Meeting (AGM) of the telecoms industry leading pressure group in Lagos. In his acceptance speech, Teniola who assured that he will not be seeking third terms at the end of the fresh tenure, thanked members of the association for having confidence in and assured that he will not fail in rebranding ATCON. However, the former first Vice President, Dr. Tony Nwosu who had declared interest to re-contest, surprised everybody when he addressed members before the elections that he is withdrawing his interest to give way for other members to come and serve and do their best in the growth of the association. High level ovation greeted the withdrawal which cleared the stage for the managing director of Medallion Communications Limited, Mr. Iyke Nnamani and Mr. Ibrahim Dikko. At the end of voting, Mr. Nnamani was returned elected with a wide margin of votes. In his vote of thanks, the first Vice President, Mr. Nnamani said he will partner with all the Exco led by Engineer Teniola to reform the association and create more values for member companies. Elections into other official positions were conducted and results announced.